ANALYST NOTE: The following communique was decrypted from the logs recovered on fragments of the I.S.S. Charon. 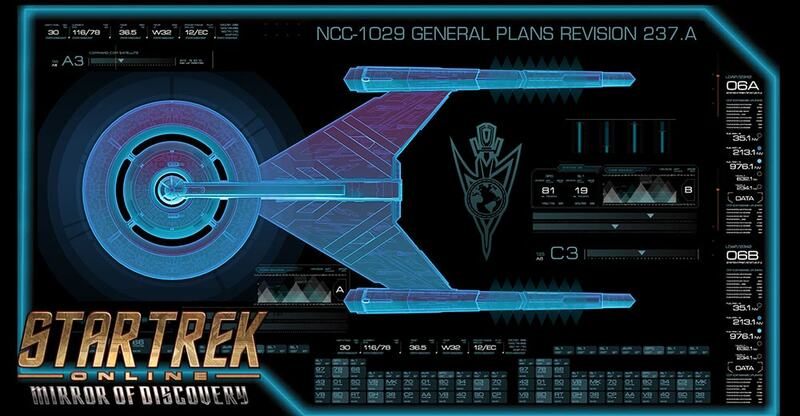 Starfleet Intelligence is working through the attached engineering plans in detail. For your reference, I have attached several examples of the differences between this technology and our own throughout the document. I humbly submit for your review the most recent update to the plans of NCC-1029. We have made significant changes to the electro-plasma distribution grid, primary hull and port/starboard M/AM engine units. The EPS grid now incorporates an unfiltered bypass shunt into the port and starboard spore infusion chambers. Lt. Stamets offered some resistance at first, concerned that exposing the mycelia directly to warp plasma too early in the reaction chain would short-circuit the activation process. However, after running several simulations, I was able to devise a special phase conditioner that tunes the plasma to react to the multi-dimensional resonance properties of the mycelia. Stamets has proposed that the mycelial reaction could be used for power generation or even to induce super-dimensional displacement, others agree that the reaction can be better utilized as a powerful anti-starship weapon. By distributing the super-charged spores through multi-phasic conductors on 1029’s outer hull, we can create an envelope of inter-dimensional turbulence around the ship. Enemy vessels within this envelope will experience disruption at molecular level, as their quanta experience torsion around multiple axes. We expect this to inhibit movement and cause severe stress to the ships’ crew and hull. A necessary consequence of this new offensive system is a design overhaul to 1029’s primary hull. To facilitate spore dispersion and protect the ship from the dimensional torsion envelope, we needed to create large counter-rotating plates that both amplify the spore resonance and simultaneously project the envelope away from the reaction’s epicenter quickly. This resulted in a significant change to the primary hull’s design, which is now segmented into an outer ring, an inner ring, and a command core. The outer ring plate mounts the MRE (Mycelial Resonance Energy) distribution grid and EPS charge capacitors. The inner ring plate contains the magnetic field projectors, MRE attenuation nodes and dynamic XEM sensor arrays. Both rings contain a network of multiphasic conductors which evenly distribute the MRE energy to appropriate levels per near-space volume. When the helical torsion field is activated these plates spin in contrary rotation and the distribution of MRE creates an interdimensional vortex around 1029’s hull, damaging any ships nearby. While the mechanical intricacies of these large spinning hull plates will significantly increase construction complexity and cost, we are confident that the helical torsion weapon will provide a unique tactical advantage and effective deterrent to attacks from the suicide shuttles that the alien resistance routinely employs. Additionally, should Stamet’s continuing research efforts bear fruit, we will have the necessary technological foundation in place to exploit MRE in whichever ways should present themselves. To further capitalize on the unique saucer configuration required, we have also begun prototyping variable geometry configuration for the inner and outer rings. This configuration switch would minimize EPS conduit length and provide an alternate grid configuration at the crew’s discretion. Each configuration is a discrete physical re-arrangement of the vessel which would affect a variety of its functions to help adapt to the tactical realities as they develop. This flexibility would allow 1029 and her sister ships to provide an unprecedented level of flexibility while simultaneously supporting the advanced MRE helical torsion weapon. We hope that once you have reviewed the attached documents you will authorize these changes and escalate this project to the appropriations committee for full funding. 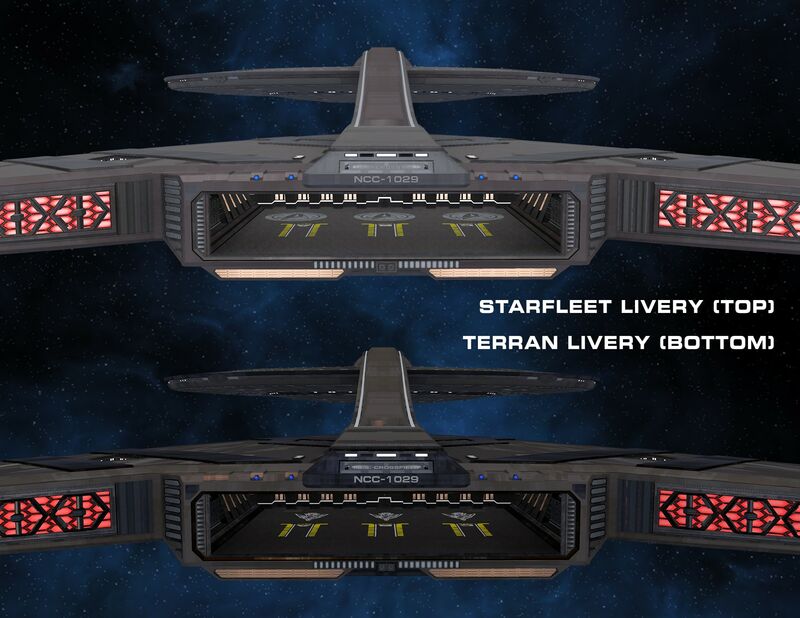 ANALYST CONCLUSIONS: It is interesting that although the Terran Empire never mastered spore drive technology, their thirst for power led them to produce a near-identical copy of the Crossfield-class as our Starfleet. While their Crossfield could not spore jump, its helical torsion weapon required very similar physical hardware to operate as the benignly-intended spore drive. It goes to show how any tool can easily become a weapon in the wrong hands. With the continued resurgence of technology from this era, I recommend we release this information to Starfleet Engineering for further analysis. An understanding of this technology prove vital in future encounters with these dark reflections of ourselves.